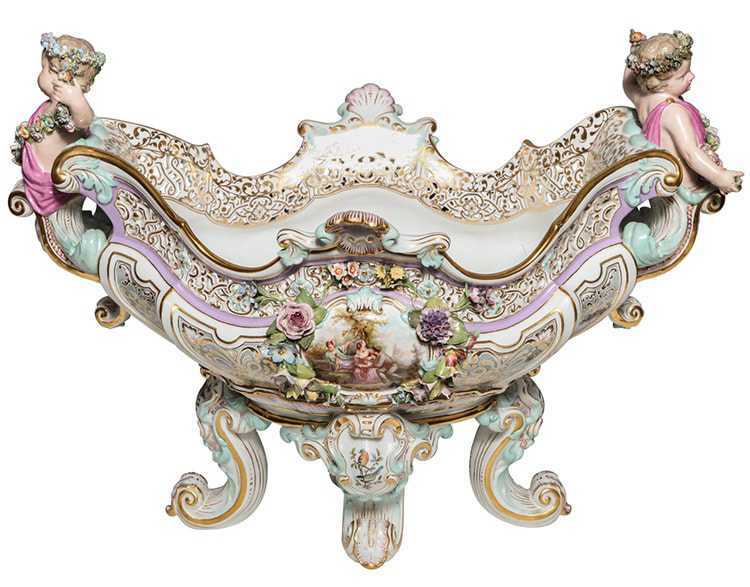 Are you interested in selling your antique porcelain in the Sarasota, St. Petersburg or Tampa bay area? Look no further. As your expert antique dealers, we buy porcelain items of all kinds. Simply use the form in the right side column to contact us, and we will get back to you as quickly as possible! We offer free market analysis valuations on all items—all you have to do is email us a photo with an accompanying description of your piece. And many other decorative pieces. Identifying an antique porcelain piece can be quite intricate, as their markings and stamps often have to be closely examined and decoded. If you bring it to a professional buyer, they can often decipher the exact year it was made. For example, if your piece has an “H” it might be the design of James Hadley, one of the finest ceramic modelers o the 19th century. Or maybe you have a symbol that looks like it could be a beehive, but is actually a shield symbol, indicating it is a Royal Vienna piece from the 1880s-1940s. If you have one of these, you could have the originally piece, which is quite expensive, or a reproduction of the piece. The only way to know is to bring it in for an analysis! When photographing your antique porcelain it is best to do it in a well-lit room and to not use flash photography. The best pictures are taken outdoors in the early morning (1-2 hours after sunrise) or in the early evening (one hour before sunset). A quality photograph will allow us to contact you sooner with more information regarding your piece. We purchase single items or whole estates from the Tampa Bay area, including Sarasota, Venice, St. Petersburg, and Orlando.